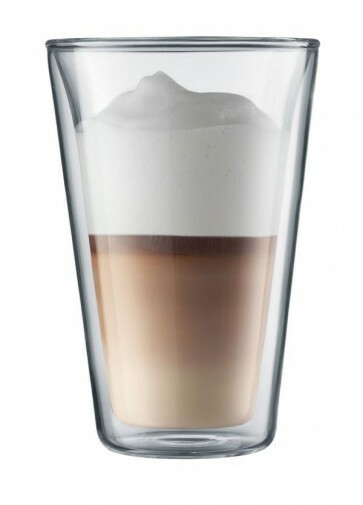 Pair durability with elegant design, and you get Bodum's insulated 13.5 ounce double-walled Canteen glassware. It is handmade by expert glass artisans. The mouth-blown borosilicate glass is much thinner, lighter, sturdier and more heat-resistant than traditionally manufactured glassware -- and features the slightly different height, thickness and weight you'd expect from handmade goods. Hand Wash Only -To make sure water doesn't seep between the double wall feature, we advise you to hand wash these glasses versus dishwashing them. For detailed care instructions, please refer to the user manual. We recommend that you also incorporate the following into your cleaning routine: To make sure water doesn't seep between the double wall feature, we advise you to hand wash these glasses versus dishwashing them.